We covered a bunch of news that happened in the last month or two, then took a look at a dozen or so e-mails from readers. 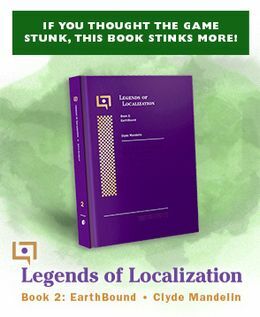 Then we played some more EarthBound while we did some Q&A and did research for my upcoming EarthBound Legends of Localization book! We’re hoping to bring EBC Live back as a weekly thing again, every Monday night. If you’d like to be there with us live, follow us on Twitch here! Shall you guys pay 30$ to CG Animation Entertainment for Jazz Jackrabbit 1 HD cutscences? I can’t wait for the update with the complete EB Beginnings score transcription!